Have you ever felt jealous of other ladies who have super smooth rosy glowing skin? Well, we are in chorus. I myself am soo envious of people who have smooth soft-to-touch baby skin that I have long prayed for a product that could help me from my skin problems. Go light on the foundation... in fact, skip it all together and just let your natural skin's glow, well, show. 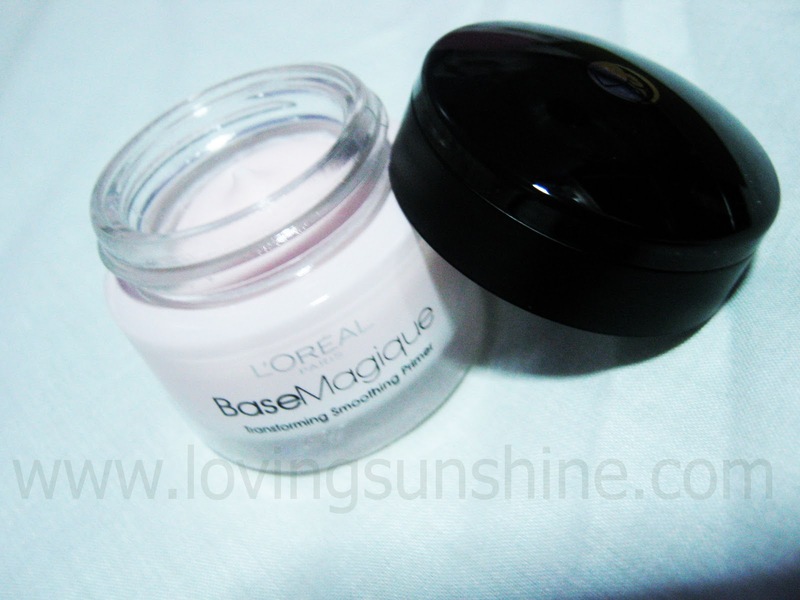 Then I met L'oreal Paris' Base Magique. Few weeks ago I announced on this blog that I'm going to work on having a White Christmas using L'oreal White Perfect Whitening Day Cream. Two (almost) three weeks after day one, I am pleased to announce that life has never been as pleasant for me and my face! When I first tried Base Magique, I was floored by how it transformed my face into the perfect make-up canvass. The magic lies in the primer's velvety formulation that fills up the skin's imperfections (wrinkles, the like) leaving a smooth surface on your skin--perfect for make-up! Always smile. It's your best accessory. Have a Magique-al Christmas!